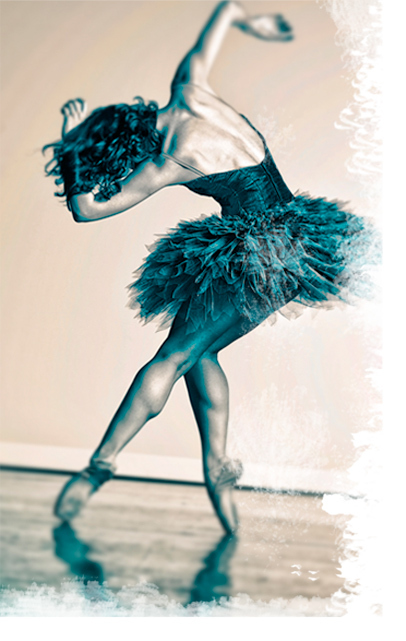 New York City Ballet – it is perhaps the most famous U.S. ballet company, rivaled only by American Ballet Theatre. Balanchine ballet technique and NYCB are true American creations. And through their evolution, George Balanchine and Lincoln Kirstein completely changed the course of dance history. George Balanchine, originally Georgy Balanchivadze, came to the U.S. from Russia in the 1930s. From a young age, he trained in ballet at the Imperial Theatre School and in music at the Petrograd Conservatory of Music. Balanchine began choreographing in his teens, and in 1924 was included in a small group that was allowed to tour outside of the Soviet Union, a very rare privilege at that time. The dancers did not return home but instead joined Serge Diaghilev’s famous Ballet Russes. Balanchine left Ballet Russes eventually and took various other positions over the next few years. While in London, Balanchine met Lincoln Kirstein, whose dream was to open an American company with its own repertoire distinct from the Europeans’. And Balanchine wanted a ballet school for this company. Balanchine and Kirstein together created the esteemed School of American Ballet in 1934, arguably the finest ballet school in America today. Known simply as SAB to most dancers, this school is the main feeder for Balanchine and Kirstein’s company, New York City Ballet. The first ballet Balanchine created there, Serenade, was choreographed on the SAB students and is now downright legendary. Graduating SAB students are some of the only ballet students in the country who are nearly guaranteed to find professional dance work. Balanchine’s contemporary choreography and manner of movement evolved into its own technique. Based on the Russian (pre-Vaganova influence) method, Balanchine took basic movements like tendus, pirouettes, port de bras and arabesques and reworked them in ways that he felt best presented the form and movement to the audience. Even a simple port de corp devant was not to be considered a stretch but a fully artistic movement where the aesthetic of the body’s journey through space was the most important thing. Petit allegro was sped up, exaggerated in places and given modern touches. Landings from jumps were with heels barely or not at all touching the floor. Some of Balachine’s choreography is easy to spot with hips sweeping forward and arms outstretched in a jazzy style never before seen in classical ballet. Balanchine port de bras work is also easy to spot with its arms crossing over one another during position changes and fingers each with their own specific placement. Balanchine created some of the most famous neoclassical ballets. These were often called “leotard ballets” because the dancers performed in simple outfits of tights and a leotard with just a short skirt or slim belt. He preferred dancers that were very long and lean with girls’ hair kept high to elongate the neck. Balanchine urged some of is best dancers to teach his technique to others and some of the most revered schools and companies resulted, including the Pennsylvania Ballet with the Rock School for Dance Education and the Miami City Ballet with its school. Balanchine’s technique is certainly not without controversy. Traditionalists often cite the jumping technique as unsafe. Many others find that the port de bras are overly flowery and the alignment for arabesques and such are too angular and harsh. Suki Schorer, who Balanchine trained to teach, wrote a book on the technique, but many arguments have followed from other Balanchine students on the correctness of her instruction. In order to maintain the integrity of at least the dances he created, the George Balanchine Trust was founded as a licensing system. Balanchine’s ballets cannot be changed, performed or broadcast without authorization. It sounds like a good idea until you realize that Balanchine was a champion of evolution and innovation. And while the Trust has certainly protected Balanchine’s work from the being skewed or performed by simply bad dancers, it has also acted as a roadblock to sharing his genius with the world and building on it. Many arguments have been made about the prudence of the Trust’s legacy protection actions, considering today’s useful access to videos and data through the internet. Just last year, a very popular YouTube ballet channel, Ketinoa, was suspended because of a Trust violation. What do you think, kiddos? Should Balanchine’s legacy be protected at all costs? Or does performing art belong to humanity? just a correction…the Balanchine technique is not based on the Vaganova method. She did not establish her technique in the Russian school until after Balanchine recieved his training and left for the US. His technique is based on that of the Russian technique before Vaganova. Also, I do think that there should be Balanchine ballets available on the Internet, recent ones, not only the DVDs from the 70s which are available, but only show a few of his ballets, and don’t even include his best works, i.e., Serenade, Agon, Symphony in Threee Movements, Apollo, etc., etc., etc. Yes… I felt the need to point this out because many think that it is based on Agripina Vaganova’s technique. When one looks at the pre-Vaganova Russian technique, you will she that it looks more similar to Balanchine’s technique–for example the fingers of the hand, which are separated and not all smashed together, commonly referred to as spatulas or spoons… Balanchine expressed that the fingers are to be separated and placed softly. On another note, I disagree entirely with those who claim that not putting the heals down in jumps is dangerous! Firstly, it makes petit allegro look lighter, and secondly that generations of Balanchine trained dancers have danced that way, and never got an injury from it! Also, people may say that Ms. Schorer does not pass on true Balanchine technique on at SAB, but in reality, Mr. B himself appointed her as a teacher of his company and school. He must have seen her capable of teaching his way. His ideas about ballet and technique changed over the years as well, so it very well may be that different dancers of his were taught different things. Lastly, I agree with the author that it is irrelevant to argue if “Balanchine” is technique or style. It can be both depending on the way you look at it.